A simple question can sometimes reveal the reality of women and girls’ participation in civic, political and community life: Where do we see young women’s participation in our communities? 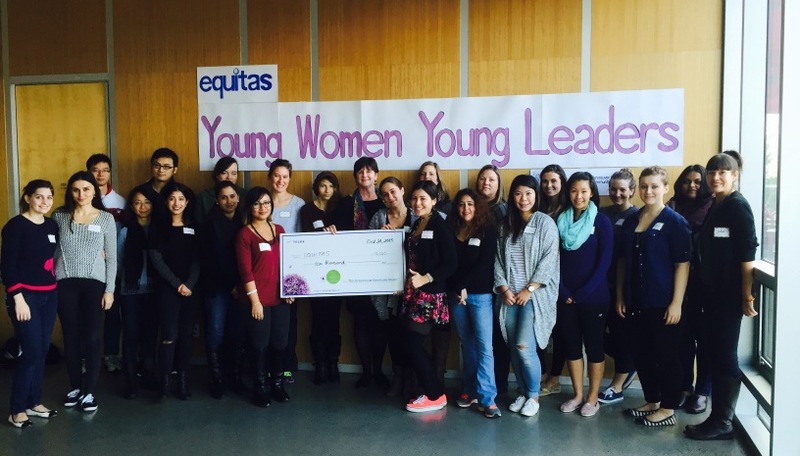 Last week, Equitas launched its Young Women, Young Leaders program in British Columbia (BC). The objective? To create an environment for young women to access equal rights, resources and opportunities, and increase their participation in civic, political, economic, and social life. 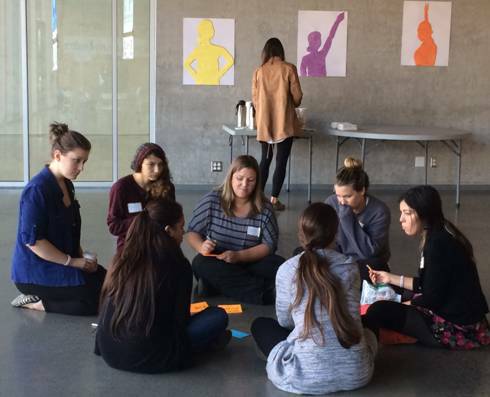 We brought together 20 youth workers from different BC organizations and trained them to provide support for the many young women they work with. During the training, we led one of the sessions by asking the same question to every participant: How do you see women’s representation and participation today, and where would you like women’s voices to be better heard and represented? The answers addressed the root causes of the barriers to women’s and girls’ participation. Women can face discrimination based on their gender, age, race, socioeconomic status, and sexual orientation. 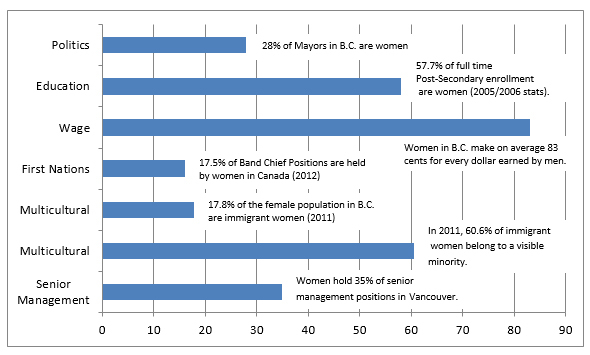 These barriers are experienced differently by each women, some women facing a combination of these barriers. Promoting gender equality and young women’s leadership requires strengthening the skills and knowledge of young women to overcome the multiple barriers they may face in their own lives. The session successfully helped participants to re-think their own work through a gender-lens, to assess the resources available for women they support and learn about the tools and strategies they can apply into their programs. 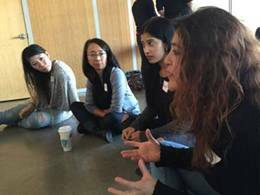 The training was the start of a new conversation to identify and share tools, resources, and strategies for promoting women’s equality and their participation in our communities. We provided participant organizations and service providers a space to begin to network and share best practices among each other; bring back their new tools and resources into their organizations and effectively support their work in BC. One of these many resources we provided is available online for our wider community. You can download Engaging Young Women Young Leaders: Tip Sheet here. 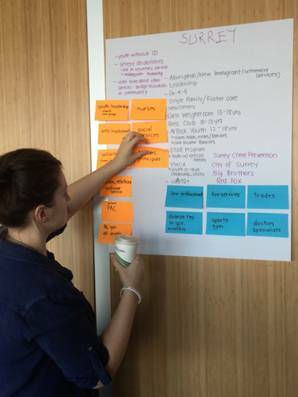 Community Action Projects are at the core of the Young Women, Young Leaders program. They are led by young women to address issues that most affect them in their daily lives, with the collaboration of Equitas and a strong network of community organizations, mentors, municipal leaders and institutional partners. Through Young Women, Young Leaders, we create spaces for meaningful dialogue between young women, female role-models in decision-making roles, civil society organizations, government bodies, and the media in order to empower young women and dismantle the barriers to their participation in community life. 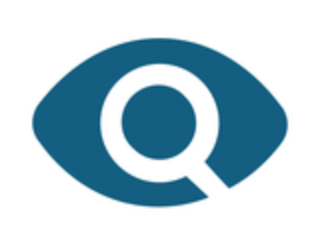 Equitas is organizing an advanced training in January 2016 to further this new conversation. The workshop and the activities, designed to share practical modules and tools for organizations to use in their daily work with young women, will lead to the Community Actions Projects. We know empowering women and girls can lead to a positive change in their own lives and that of their peers. Women are experts on the issues that impact them and have the right and responsibility to contribute their knowledge, skills, and talents to the betterment of their community. YWYL equips emerging young women leaders and organizations with the knowledge and skills to effectively increase young women’s participation and citizenship engagement in their communities. We love to hear from you! 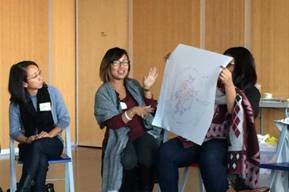 Please feel free to contact us at egunad@equitas.org to learn more about Young Women Young Leaders program in BC. 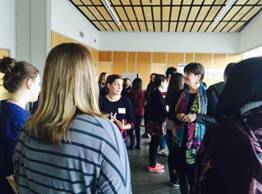 Young Women Young Leaders program is funded by TELUS Vancouver Community Board.